After months of searching for the right house, you finally find it. No more exhausting walk through – no more negotiating. You have found the perfect house in the perfect neighborhood at the perfect price! All that’s left is to schedule a home inspection to make sure there aren’t any underlying problems that you can’t see. Real Estate Training Institute has come up with four major guidelines to follow when looking for the perfect Home Inspector. Kick back, give your tired brain a rest and let us help you. Experience: Choose an inspector that has a background in the building industry. An inspector that has experience in the building trades will have a better understanding of the basics in local building codes as well as the requirements that come with them. They will be able to uncover any underlying issues that you may not see, like broken rafters in the attic or cracks in the foundation. Professional Affiliations: While researching inspectors and their companies, check to see if they are part of any affiliations. Some of the more recognizable organizations are the ICBO (International Conference of Building Officials), EPA (Environment Protection Agency) or the NAHI (National Association of Home Inspectors). Knowing if the inspector is involved with any or all of these organizations will show their depth of industry involvement. Length of the inspection: Ask how long the average inspection takes. That is a great way to tell how experienced your potential home inspector is and their level of detail. A normal home inspection lasts anywhere between 3 to 4 hours. If the inspector answers your question with 1 to 2 hours for a complete inspection, take them off your list. An hour or two is not enough time for a thorough inspection of an entire house, regardless of whether it is a new build or older build. Attending the Inspection: Are you allowed to trail along behind the inspector as he analyzes your new home? You should be. 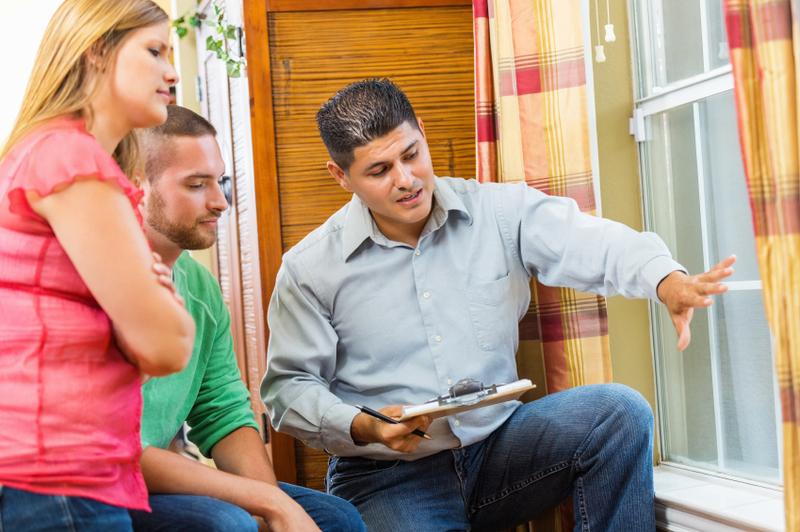 Attending the inspection is a great opportunity for to get familiar with your house and talk with the inspector about any possible repairs that might be needed. Finding a reliable and competent inspector that you can trust can be difficult. Using these guidelines will help to make the experience less stressful. Your realtor may be a reference for getting inspector recommendations, but still be sure to compare them to these guidelines. Real Estate Training Institute hopes that you liked this article as much as we liked writing it. Be sure to check out our social media sites Facebook, Twitter, LinkedIn, and other blog posts for more articles and tips. This entry was posted in Real Estate and tagged Home Inspector.